Make a gorgeous crystal card with this king of hearts playing card DIY diamond painting card kit. 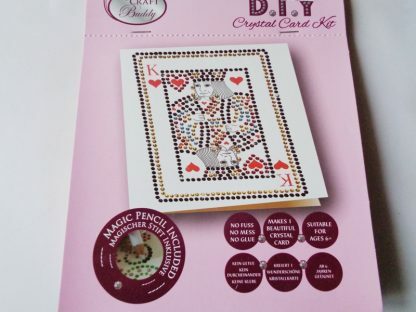 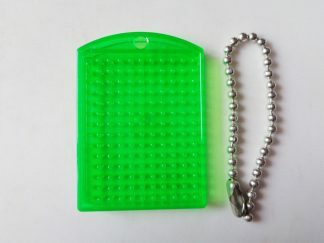 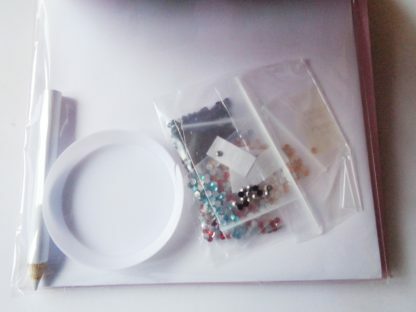 Kit contains an 14.5cm x 14.5cm white blank card and envelope, all the necessary crystal gems to make the design, a gem pick up pencil, a tray to put your gems in plus instructions. 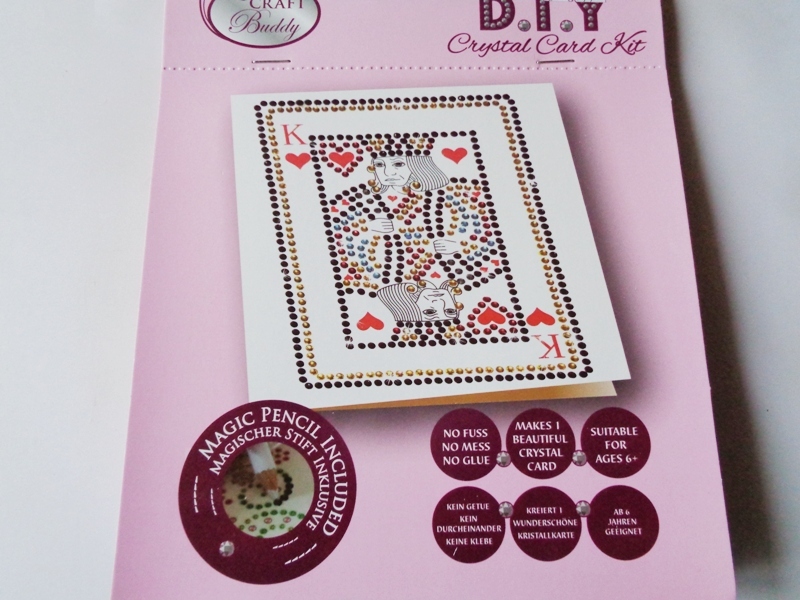 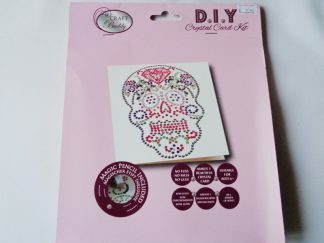 Diamond painting 3D card kit using flat backed crystal gems. 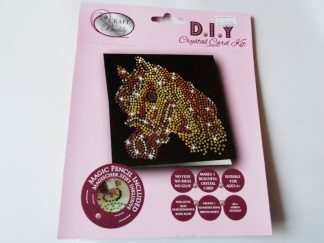 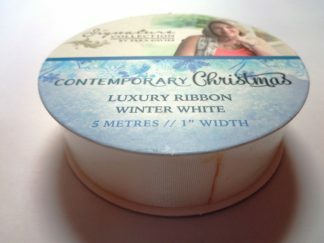 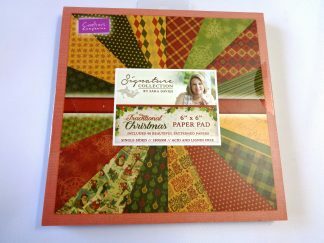 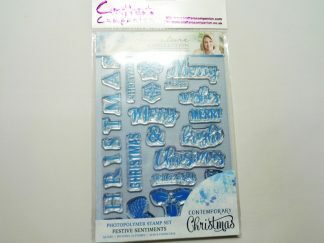 Simply peel back the protective sheet to reveal a sticky surface to adhere the sparkle gems to. 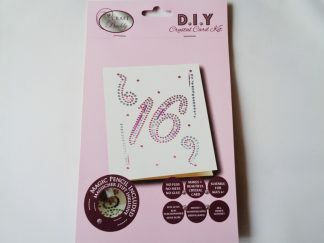 It is best to peel back and work on a small area at a time rather than reveal the whole design, this also helps to protect the glue from collecting dust particles.